Bachchan said while he is still trying to fine-tune his craft, young actors come prepared on sets. Amitabh Bachchan says he is in awe of the current generation of actors like Alia Bhatt, Ranbir Kapoor and Rajkummar Rao who have honed their craft to such a level that even he gets scared while working with them. “The new generation of actors like Alia, Anushka (Sharma), Deepika (Padukone), they are such capable actors, you get scared while working with them, kha hee jayenge (they’ll eat me up). They are so brilliant. “We took years and years and are still trying to fine-tune our craft but these people, they come first day on the set and know exactly what they are doing. They are so confident, mature,” Bachchan told reporters. The 75-year-old actor said he considers himself fortunate to have worked with two generations of actors. “Look at Sushant (Singh Rajput), Varun (Dhawan), Rajkummar Rao and Kartik Aaryan. I get so obsessed that I write to them and send flowers when I watch their performance. “I am fortunate that I’ve been able to live through the period where I saw Meena (Kumari) ji, Nutan ji, Waheeda (Rehman) ji and now I’m getting an opportunity to work with actors like Alia and Ranbir (his ‘Brahmastra’ co-stars)… It’s just unbelievable,” he added. 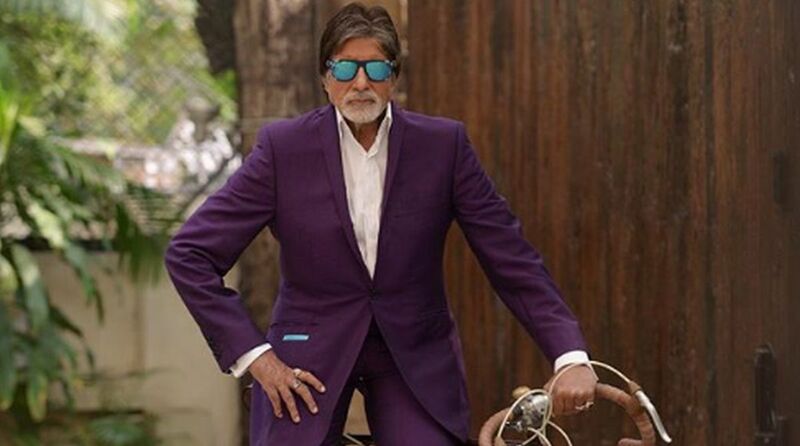 Bachchan was speaking at the launch of the 10th season of Kaun Banega Crorepati. The popular game show will start airing on Sony from September 3.